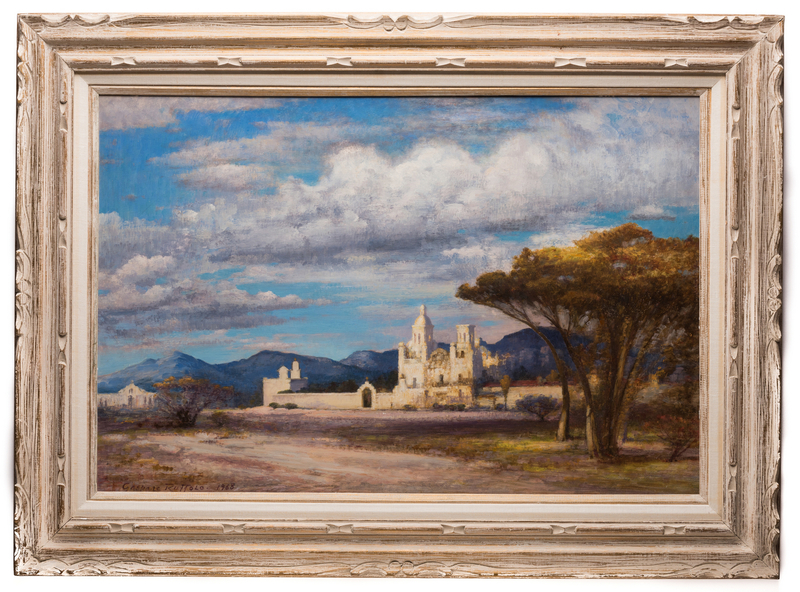 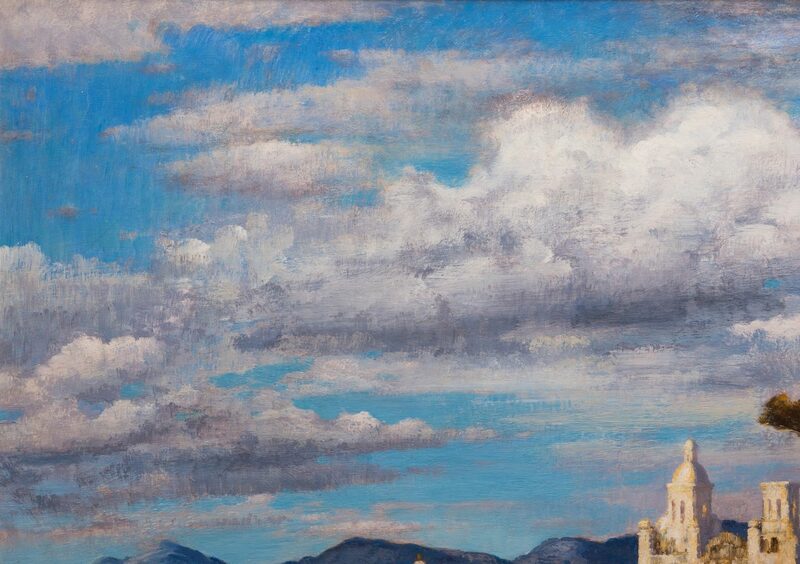 Gaspare J. Ruffolo (American/Illinois, 1908-1997) oil on board painting depicting a Spanish Mission, most likey San Xavier del Bac or the White Dove of the Desert, near Tucson, Arizona. 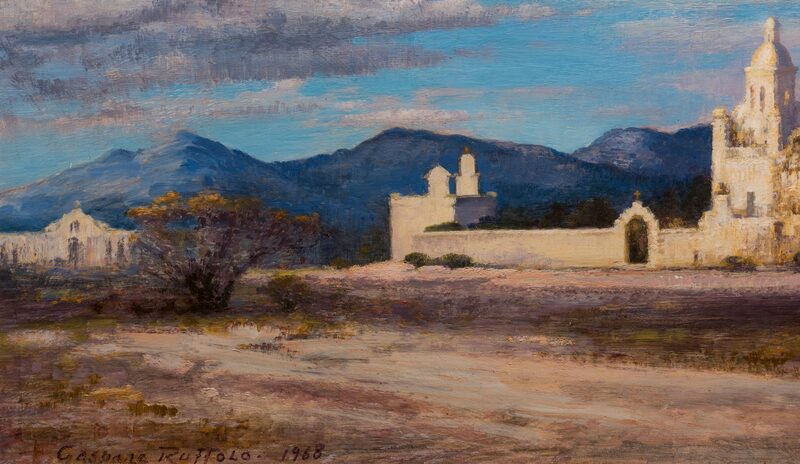 Signed Gaspere Ruffolo, and dated 1968, lower left. Housed in a carved wood frame with linen liner. 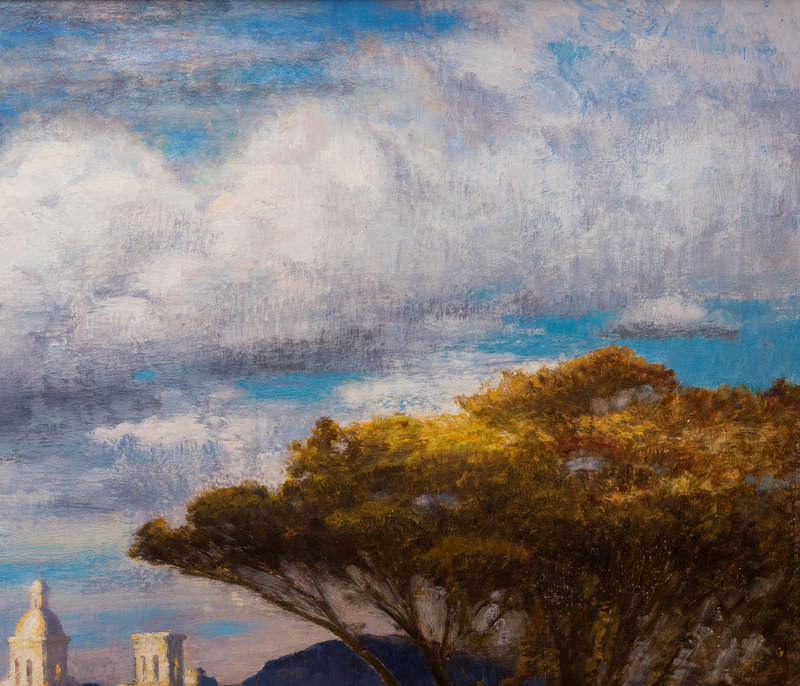 Sight – 23 1/2" H x 35 3/8" W. Framed – 33 1/4" H x 45" W. Mid 20th century. 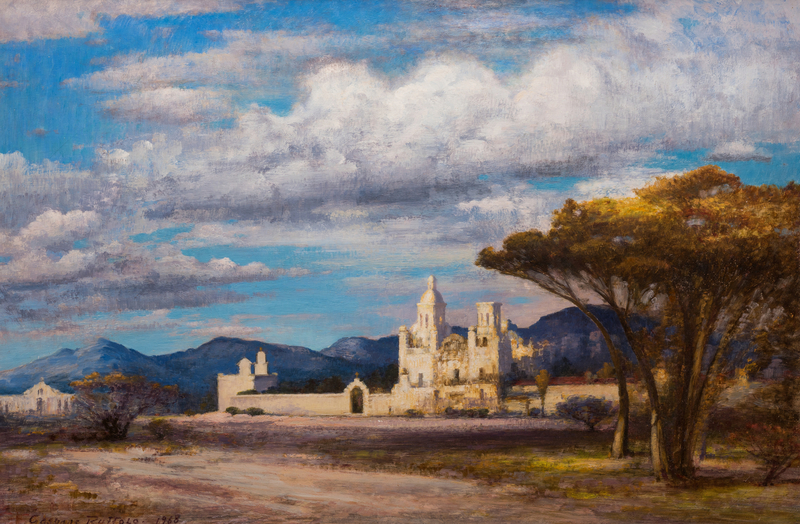 Biography (courtesy Peter Hastings Falk, Who Was Who in American Art): Chicago-born Gasper Ruffolo studied painting at the Art Institute of Chicago with Wellington Reynolds and George Oberteuffer, and exhibited at the Art Institute. 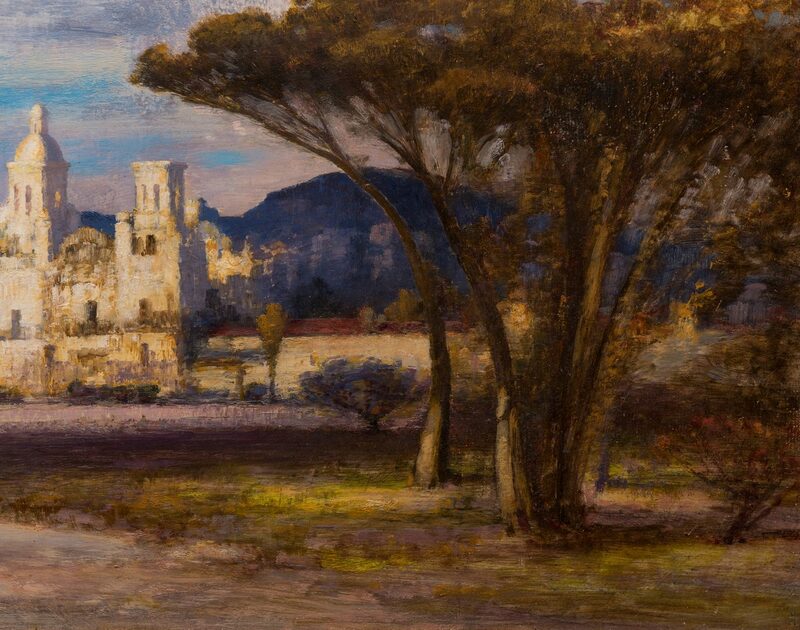 He was known for his landscapes and portraits, and was a member of the Association of Chicago Painters and Sculptors, Chicago Galleries Association, and the All-Illinois Society of Fine Artists. Provenance: Consigned by a direct descendant of the artist. CONDITION: Very light 2 1/2" scuff, top left quadrant, otherwise very good condition.